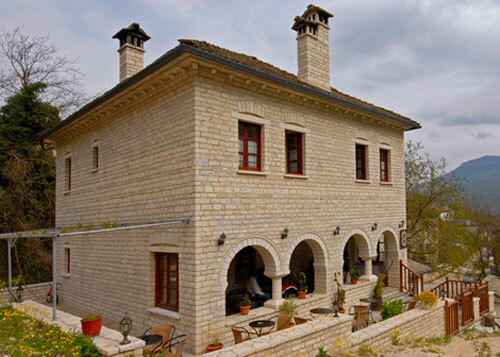 A new guest house, built according to the traditional architecture of Zagori. Placed in a concessive position at Aristi village, near the central square and offers great view not only to the village but to Astraka as well. The guest house offers 3 rooms with private bathroom, fire place, kitchen, TV, and autonomous heating. At the ground floor you will find a spacious hall which is offered for breakfast, coffee or your drink, with a fire place and a big LCD screen. Enjoy the traditional breakfast with pies from Zagori, e.t.c. By staying at the guest house Hlias you can visit not only Papigo, but all the west, central and east Zagori as well. Enjoy the hospitality that Hlias Guest house offers.